B1 500 Air Battery-Powered 2-Light Location Kit from Profoto consists of two B1 500 off-camera, battery-powered AirTTL flash heads each with a battery, a 4.5A Fast Battery Charger, car charger and a custom location backpack. Triggering with distances up to 300 meters. 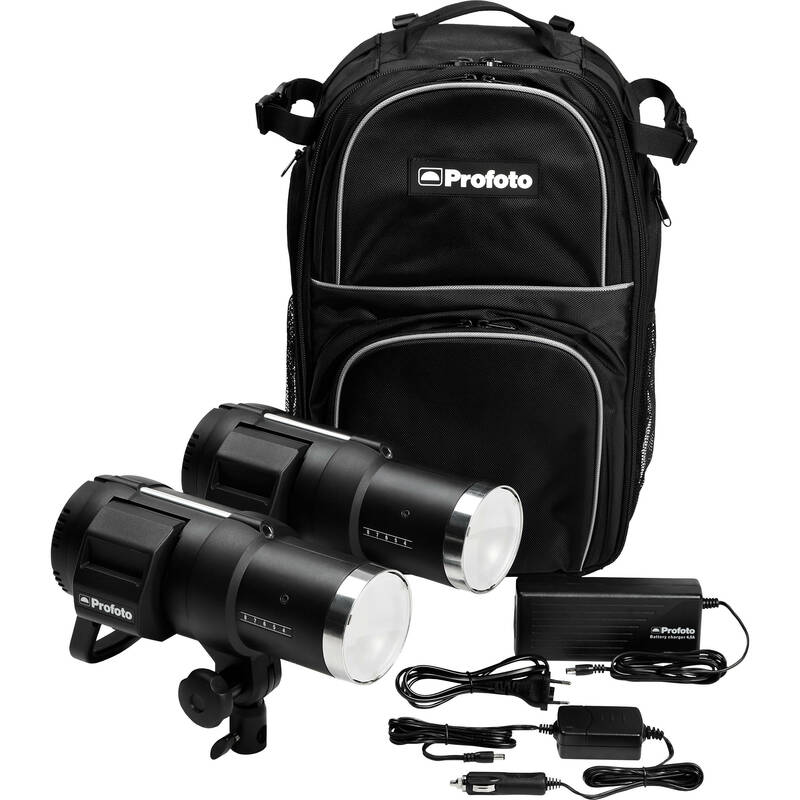 TheB1 500 Air Battery-Powered 2-Light Location Kit from Profoto consists of two B1 500 off-camera, battery-powered AirTTL flash heads each with a battery, a 4.5A Fast Battery Charger, car charger and a custom location backpack. With the use of an Air Remote TTL-C, TTL-N, Air Remote or Air Sync you will have access to wireless triggering from distances up to 300 meters. 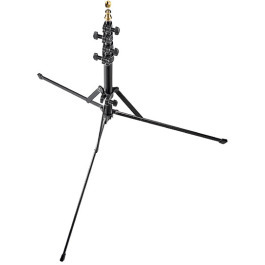 This versatile kit makes studio quality lighting as easy to use as your camera’s TTL flash. The B1 offers double wireless freedom – a built in AirTTL receiver for remote triggering as well as a powerful on-board Lithium-ion battery that disconnects you from the wall outlet. When you need to recharge, the included Fast Battery Charger lives up to its name by providing up to 220 500Ws flashes on a 60 minute charge while the car charger allows you to refresh the battery while you drive to your next shoot. The kit fits in an included ballistic nylon backpack which was tailored for it. 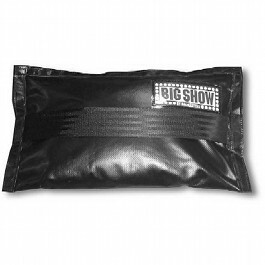 Its interior features padded compartments and room for expendables and optional Profoto transmitters. Currently the B1 offers full TTL exposure plus remote triggering for Canon cameras via the optional Air Remote TTL-C and for Nikon cameras via the TTL-N. The B1 can also be triggered remotely with the Air Remote or Air Sync without TTL functionality. The B1 recycles in 0.1 to 1.9 seconds but can deliver up to 20 flashes per second in Quick Burst Mode which engages at lower power settings. Flash duration in Normal Mode is a very fast 1/1,000 sec. but there’s also a Freeze Mode that delivers flash durations a short as 1/19,000 sec. for capturing liquid sprays or splashes and other creative effects. The modelling light has been upgraded to LED to put less strain on the battery and provide the equivalent output of a 70W tungsten-halogen bulb. The B1’s exchangeable Lithium-ion battery gets up to 220 flashes on a 2-hour charge with the standard 2.8A charger or a 1-hour charge with the 4.5A Fast Charger. The battery has fuel gauge-type LEDs that make monitoring remaining power easy. The B1’s patent-pending technology fully integrates the flash head with your Nikon or Canon camera. The integration is so complete that Profoto sometimes refers to the B1 as an “off-camera flash.” The key to this control is the Air Remote TTL-C or TTL-N. The Air Remote TTL-C and TTL-N transmitters have 8 frequency channels with 3 groups per channel and a range of up to 100 meters for TTL triggering. 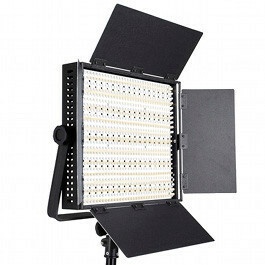 Each channel has power ratio capability of +/- 2 stops in TTL or +/- 9 stops in manual. Modelling light, shut-down of the unit and first or rear curtain exposure can also be selected. In Normal Mode, which prioritises colour fidelity, the B1 500 AirTTL is capable of t0.5 flash durations of 1/11,000 sec. at minimum power, and 1/1,000 sec. at full power. A 20W LED modelling light with a 70W tungsten-equivalent output draws very little power from the battery and generates minimal heat. The light can be set to proportional or full power and will dim during recycling if that option is selected. Both the flash head and the Air Remote TTL-C have mini-USB connections for firmware updates directly from Profoto’s website.